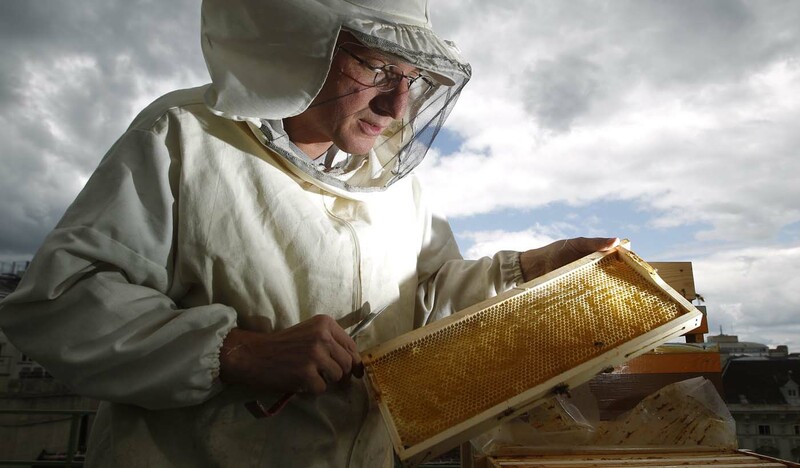 People living in Vienna have got a new hobby – beekeeping. The idea really took off a few years ago after the city council started investing in beehives and placing them in prominent locations. The State Opera House, the Burgtheater and the Museum of Natural History all have bee populations on their roofs, and there are even hives on the terraces of the Vienna General Hospital (AKH). From there however, with all the publicity, people living in Vienna also started buying rooftop beehives, and now the local beekeeping association estimates there are hundreds of tonnes of honey being harvested in Vienna. The meadows, trees, parks, gardens, roadside verges, balconies and green rooftops provide a constant, yet ever-changing palette of blossoming flowers for the insects to feed on. Temperatures also remain higher for longer in the city than in rural areas. Over 600 Viennese have even started investing in so many hives that they have registered officially as beekeepers with a special association, the Stadt-Imker (urban beekeepers), which is dedicated to monitoring and managing the various hives in the capital. Josef Beier who is head of the Vienna beekeeping association said: “I never would have thought it possible but it really is getting to the situation now where the only problem is space for the beehives and to store the equipment needed for the honey gathering. “With the fact that many colonies have been dying out en masse, the subject has been very present in the media and as a result a lot of people had become interested in it – and some of those have decided to do their bit to help the bees. With many having positive experiences, others have become involved and so it has spread. “To keep healthy bees you need a wide variety of plants and with all the exotic varieties available in window boxes and gardens, it’s a paradise for these. There is always something in bloom and at the same time the bees of course are great for Vienna’s plants.